What it is: Endometriosis occurs when endometrium-like tissue is found outside of the uterus. This may include areas of the pelvis- near/ around/ attached to the bowel and bladder, ligaments, and elsewhere in the peritoneum. 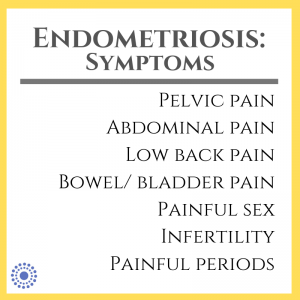 Endometriosis may even be found in more outlying areas of the upper abdominal cavity. 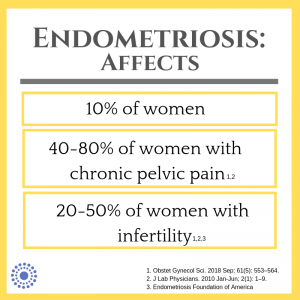 Why it matters: Endometriosis affects primarily women of child-bearing years- 7 million women in the US alone-and has a significant impact on quality of life due to pain, infertility, delayed diagnosis and difficulty navigating the health care system for appropriate care. And while statistics aren’t readily available, endometriosis must also be considered in menopausal women and trans men with persistent pelvic pain. Laparoscopy remains the gold standard for diagnosing endometriosis, and the gold standard for endometriosis treatment is minimally invasive laparoscopic excision surgery by a trained surgeon with experience in the procedure. Despite this, many women are treated with medications, hormone treatments as well as surgical removal of uterus (hysterectomy) and/ or ovaries (oophorectomy). Some may get relief from medications and hormone treatments. However, side effects and risks to bone health should be considered- and it is important to note that these methods may reduce symptoms, but do not treat or remove the disease. 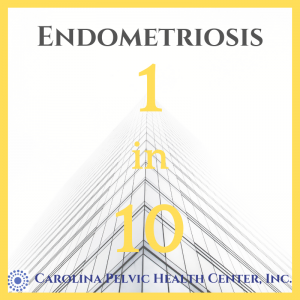 First, find a pelvic physical therapist who has experience working with other people with endometriosis and pelvic pain. Our job is to help address any musculoskeletal issues that may be contributing to your limitations- muscle spasm, weakness, joint stiffness and decreased aerobic conditioning are all factors we assess with our patients, and isn’t limited only to your pelvic floor. While pelvic muscles may be a primary site of pain and dysfunction, in particular due to overlapping bowel, bladder and sexual effect of endometriosis, we look at you as a whole person in order to help you meet your goals. Our role as PTs is to guide you through a program to ultimately empower you to reclaim your activities and daily life as completely as possible, and remain a resource as needed. This may be right after your diagnosis, during fertility treatments, following excision surgery or at any point during your endometriosis treatment. Your pelvic PT can’t diagnose endo. If we suspect you need some additional medical care that is beyond our scope and training, we will refer you to a doctor who can further help with diagnosis, treatment and other resources if you are not currently linked to a provider who can offer that to you. 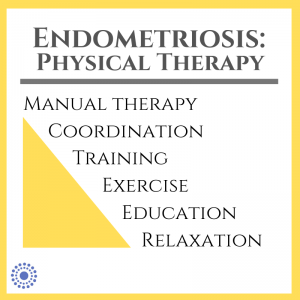 Your pelvic PT CAN treat musculoskeletal and myofascial pain associated with muscle spasm, guarding, pain and weakness as primary and secondary effects of endometriosis. Our job is to help you learn more comfortable ways of moving, pacing, self care and doing the things that aren’t feeling so great right now. There are some excellent resources and advocates for those living with endometriosis as well as for providers. 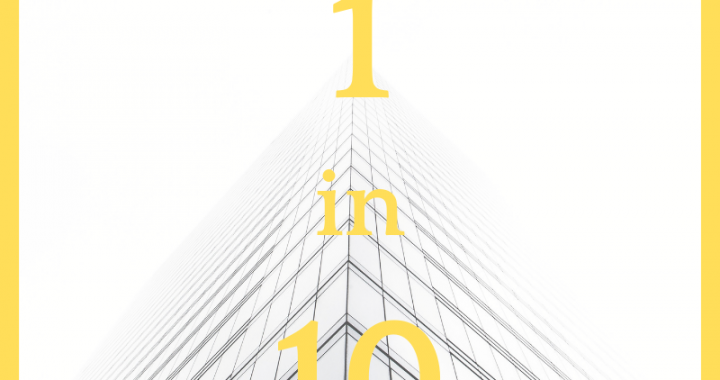 If you or someone you love is living with endometriosis OR if you want to educate yourself to support someone who has endometriosis, check out the resource list below. Nancy’s Nook is a Facebook resource for patients and providers- it’s a closed group, so you will need to answer questions to have access to the site. Bear in mind that it is not a forum for medical advice or for self promotion- rather, this is a resource page geared toward self-guided learning about endometriosis- treatment, surgery, providers. Sallie Sarrell, PT, ATC, DPT: Sallie Sarrel is a physical therapist and endometriosis advocate who is raising the bar for the standard of endometriosis care (be sure to check her out on Instagram too). Dr. Iris Orbuch: Dr. Orbuch is a surgeon and advocate of excellent endometriosis care- another great Instagram resource as well. Hwang H, Chung YJ, Lee SR, et al. Clinical evaluation and management of endometriosis: guideline for Korean patients from Korean Society of Endometriosis. Obstet Gynecol Sci. 2018;61(5):553-564. Agarwal N, Subramanian A. Endometriosis – morphology, clinical presentations and molecular pathology. J Lab Physicians. 2010;2(1):1-9. Gupta D, Hull ML, Fraser I, Miller L, Bossuyt PMM, Johnson N, Nisenblat V. Endometrial biomarkers for the non‐invasive diagnosis of endometriosis. Cochrane Database of Systematic Reviews 2016, Issue 4. Art. No. : CD012165. DOI: 10.1002/14651858.CD012165.